John Coburn leads the Digital department at Tyne & Wear Archives & Museums, an organisation managing nine museums and galleries and one archives services. 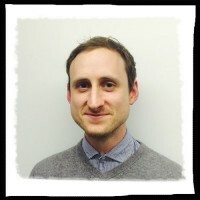 John has produced and managed digital projects in the cultural heritage sector for over 12 years. An ongoing focus of his work is the development of interdisciplinary initiatives that inspire new public reuses of collections and bridge creative communities from the wider arts and technology world with museums.